Some novels I enjoyed: Kit Reed’s Mormama is a marvelous southern gothic about a cursed ancestral home with three elderly sisters living within. When a divorced relative and her young son move in and an accident victim with no memory hides out in the basement, the haunts become active, whispering ugly secrets. Alas, Reed died shortly after her book was published. The Dark Net by Benjamin Percy is an entertaining ride into the dark side of the internet, where all sorts of things can be acquired and where awful secrets reside. In Percy’s third novel demons are intent on using it to create havoc in the world by infecting everything digital. 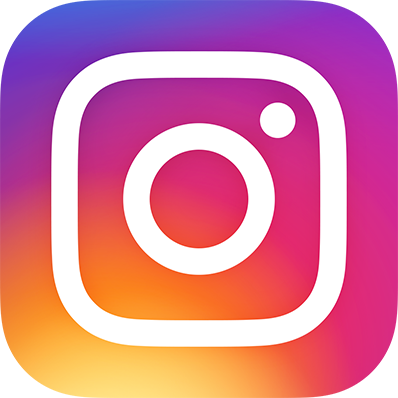 What’s most interesting about the plot is how it dovetails nicely with our dependence on and anxieties about the ubiquitous technology that inextricably links us worldwide. The Boy on the Bridge by M.R. Carey takes place in the same post apocalyptic world as The Girl with All the Gifts, the terrific 2016 novel and movie, but it’s not a sequel – it’s been called a “sidequel,” which seems about right. A fungus that mutated from insects has turned most people in England into mindless creatures with a craving for fresh meat – animal or human. A group of scientists, soldiers, and a brilliant 15-year-old boy, who is the only survivor of a hungries attack, embark on an expedition to Scotland from the last human holdout in England in an attempt to find caches of Cordyceps cultures spread around the countryside by an earlier expedition, to test whether specific environments might be less hospitable to the pathogen – or better yet, contain a cure. Carey’s characterizations are what make this book pop – because the reader really cares about most of the characters, the book is edge of your seat suspenseful and agonizing. Under a Watchful Eye by Adam Nevill is about what happens when an old, unwelcome acquaintance inserts himself back into the life of a horror writer, imposing his disgusting debased presence into the writer’s comfortable existence. With him, he brings mysterious and threatening creatures, acolytes in thrall to a cult leader dead almost 30 years. It’s a real challenge to keep readers engrossed in a novel with a horrible, disgusting character playing a dominant role in the first third of the book, but Nevill manages to do so. The Changeling by Victor LaValle takes the reader for an emotionally wrenching roller coaster ride when a horrific act destroys the seemingly idyllic life of a New York couple and their infant. Apollo Kagwa is a rare book dealer. When his wife, Emma, starts behaving oddly, he’s alarmed, but before he can do anything she does something horrible and unforgivable – and disappears. The story becomes a dark fairy tale about Apollo’s odyssey into a world just beyond our ken, with magic that can empower or destroy. 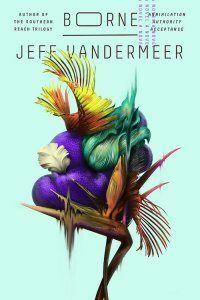 Borne by Jeff VanderMeer is a marvelously inventive novel told from the point of view of a scavenger living with her partner in a no-man’s land of feral children and monstrous bear-like killing machines. It’s not quite horror, not quite science fiction, but might be the quintessential work of the weird. The scavenger discovers a small… object: plant, animal, machine – a mysterious whatever that she dubs Borne. As Borne grows and their relationship deepens, it becomes a threat to the status quo of the couple’s survival. Devil’s Day is Andrew Michael Hurley’s eagerly awaited second novel by the surprise Costa Award winning author of The Loney. It’s about a man who annually helps round up the sheep on the moors where he grew up, a place about which dark stories are told. This time, his grandfather has died and his pregnant wife accompanies him. Novellas continue to be popular. 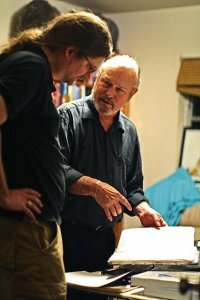 Subterranean released an expanded version of Peter Straub’s 2016 novelette “The Process” as The Process (is a Process All Its Own). PS published Alan Baxter’s The Book Club. 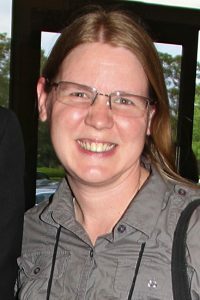 Tor.com continues to produce SF/F/H novellas, including Agents of Dreamland by Caitlín R. Kiernan, a darkly disturbing cosmic horror story about a cult that believes aliens have come to liberate their bodies, a secret agent tasked with tracking down their missing leader, and a terrifying mystery woman who travels back and forth in time. Mapping the Interior by Stephen Graham Jones is a vivid, dread-inducing supernatural ghost story about a teenage boy who believes he sees his dead father haunting the house where he lives with his mother and younger brother. The Twilight Pariah by Jeffrey Ford is about a group of friends who meet up during a break from college and what they find when they excavate an abandoned outhouse on the edge of town. The Murders of Molly Southbourne by Tade Thompson is about a woman from whom another clone is created every time she bleeds. Some notable collections were published, including She Said Destroy by Nadia Bulkin, a smart, powerful debut collection with 13 stories of horror and weird fiction, one of them new. 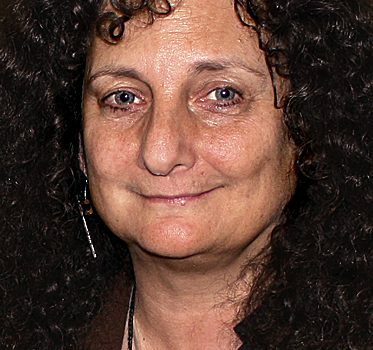 Three were nominated for the Shirley Jackson Award. Ornithology by Nicholas Royle is a fine collection of 16 dark, sometimes uncanny stories about birds, two published for the first time. Fire. by Elizabeth Hand is number 18 in the publisher’s “Outspoken Authors” series. The mini collection features three stories (one new), one autobiographical piece from 2004, several nonfiction essays and reviews, and a new interview of Hand by Terry Bisson. Hand is one of several contemporary writers who slides effortlessly between genres, most recently writing a dark, sometimes supernatural series of crime novels about Cass Neary, a photographer and former habitué of the New York punk scene. 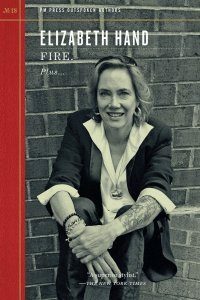 The new story “Fire.” is short, intense, mainstream, yet dark. 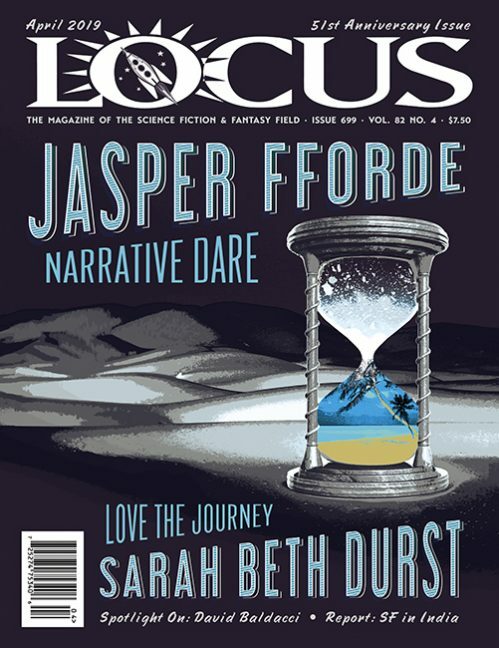 Singularity collects 60 of award-winning writer Melanie Tem’s most important short fiction, highlighting her diversity and mastery of her art. It has illustrations by Jessica Fortner and an afterword by Caitlín R. Kiernan. 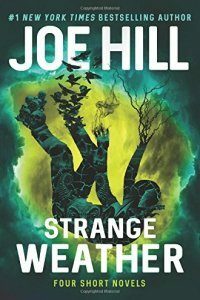 Strange Weather by Joe Hill features four impressive novellas, three new. “Snapshot” was originally published in two issues of Cemetery Dance; “Aloft” is a fantasy about a grieving young man who, when jumping out of a plane to skydive, magically lands on a sentient cloud that would like him to stay to keep it company; “Loaded” is a terrifyingly believable story of easy access to guns, revenge, and psychosis; and “Rain” is about a mysterious and deadly rain that begins its fall in Colorado. The Unorthodox Dr. Draper and Other Stories by William Browning Spencer collects ten year’s worth of Spencer’s most recent stories, including nine stories and one poem. His work is surreal, funny, horrific, and very well written. Her Body and Other Parties is Carmen Maria Machado’s debut collection and her work has been celebrated by both the literary and genre crowd. Another impressive debut is Philip Fracassi’s Behold the Void, with nine horror stories, five previously unpublished. Dear Sweet Filthy World is Caitlín R. Kiernan’s 14th collection, with almost 30 stories, most previously only appearing in Kiernan’s private email zine, Sirenia Digest.